Home » Other » What’s the Difference Between a Griddle and a Grill? When I was a child, my grandfather owned a hamburger stand. He worked hard in that little stand and people would come from their downtown offices in Wichita to get the “best burgers in town” for lunch. When I went to visit him, he’d go fire up the griddle next door and return with two gloriously greasy hamburgers, along with some home fries that would make almost anyone envious. He taught me many secrets about cooking on a griddle. A good griddle will last forever. My grandfather told me that he hadn’t cleaned the griddle for something like 40 years. (This is not recommended; there are a lot of bad bugs like listeria or e-coli that can hang around even when you’re grilling at a high temperature.) Today, for safety’s sake, it’s more ideal to clean your griddle before and after every use. In this article, we’re going to go over the differences between a grill and a griddle, the pros, cons and reasons why different people choose to cook with them. Some people choose a griddle outdoor grill or griddle grill combo so they can get the best of both worlds. There are a lot of benefits to each of them. The grill my grandpa used was indoors, and the hamburger stand could get stiflingly hot. The floor was slippery from grease and the air constantly smelled of searing meat. That may be why he only opened for a few hours a day in old age. But everyone loved the hamburgers he made at Takoma Burger, in Wichita, Kansas. They came from far and wide to eat them. Outdoor griddles make cooking on a griddle much more comfortable on hot summer days, and you can control the temperature while cooking up a variety of foods. A grill is one of the fastest ways to cook meat for a group of people, especially something simple like hot dogs and burgers. A grill can also help you cook up delicious, slow-cooked barbeque meals, depending on the grill type and your own desires as the grill master. Grilling is a healthy way to cook meat, and it doesn’t take away from the flavor when you’re cooking meat and vegetables. Because you can control the temperature of many modern grills, it’s easy to adjust the grill just right so that the meat can retain moisture and air, which adds flavor and tenderness to the meat. Grilled meat has a natural taste without depleting essential nutrients. You can grill with wood, gas or charcoal, and each type of grilling has its own distinctive flavors. 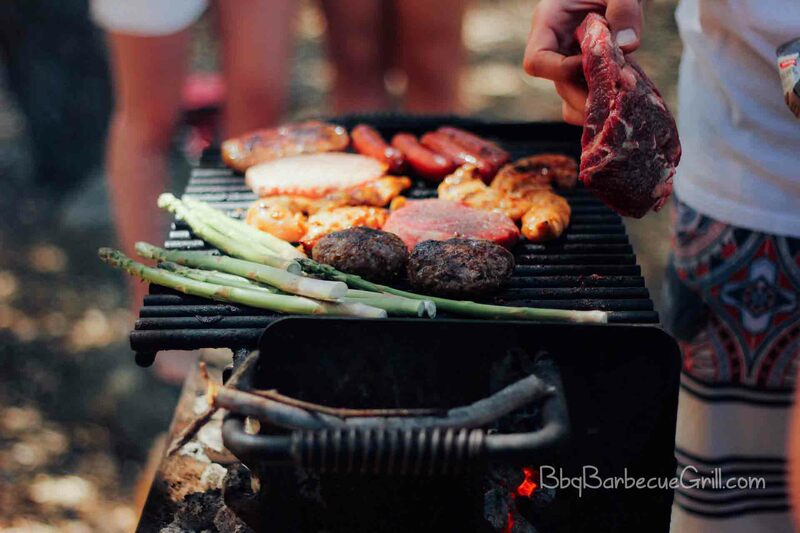 When you’re cooking on a grill, smoke is absorbed into the food you are cooking, especially if you grill with a deep-set grill meant for barbeque. A lot of people who cook with this kind of flame swear by different types of wood chips or charcoal. It’s really all a matter of personal preference. I’d highly encourage you to explore. An outdoor griddle is a different type of beast. While an indoor griddle is, today, usually considered an iron pan on a stove, an outdoor griddle is much closer to the equipment my grandfather used to make his infamous burgers. It’s also not as stifling hot as griddling indoors. You can breathe the fresh air while you’re cooking. Instead of spilling grease on a slippery floor, you’ve got a tray that captures it and prevents fires on the ground. You can control the temperature, making it ideal for a variety of cooked meals, and it’s often used to cook everything from eggs and bacon to steaks and potatoes. This is what makes it a little more versatile than an outdoor barbeque grill. Think of it as a large, hot plate that can cook your eggs, sausage and bacon all in one place. If you so desire, you can cook up everything on one surface, but this can be a little hard to optimize sometimes, because vegetables and meat tend to cook at different temperatures. 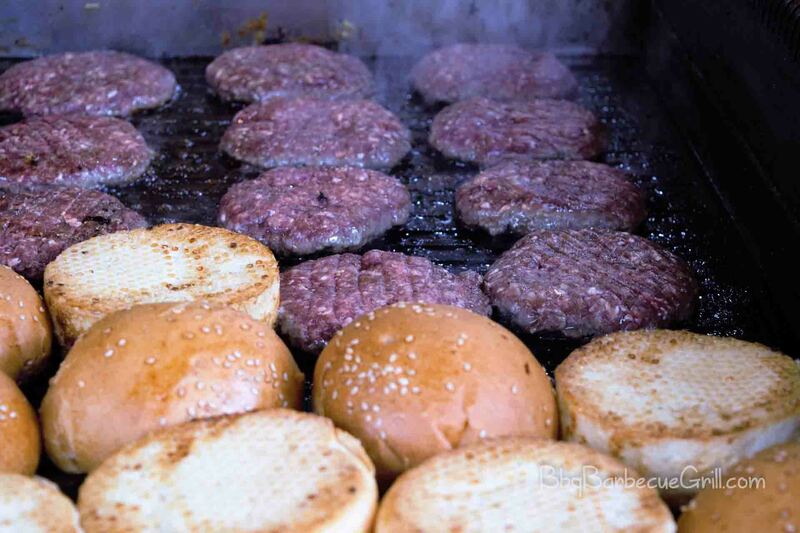 The hamburger is the ultimate test when it comes to the grill vs griddle burger debate. When you’re using a grill to cook a burger, you can enhance it with different kinds of smoke, such as wood chips or charcoal. A grill burger needs to be juicy and kind of fat to work well over a flame, while typically the griddle can cook burgers flat like the burger joints used to cook in the 1980’s. When you’re making burgers on the grill, you usually only have to flip them once, and you can easily cook up to a dozen at a time with relative ease. Grilling is fast. There’s not a lot of fat because the fat burns off. Using a griddle to cook your burger requires a different kind of finesse, and the outcome is different, as well. The fat does not cook off; it melts on the griddle and mixes with your cooking oil. There’s no safe way to fish the fat off, either. Let it cook instead; the fat can be part of the flavoring. The secret to using a griddle is the right oil and seasonings on the vegetables and meat. Experimentation with these elements will help you develop your own cooking style. On a griddle, you’ll find yourself flipping things over more to get an even temperature. When you’re using the griddle, you have space to never leave a mess. It’s a little hotter to stand in front of it directly. The bbq grill vs griddle is all about the cooking method and flavoring. Which type of burger do you prefer to eat? Do you want to cook multiple items over a flame or on a hot plate? Your local home improvement store will have a decent selection of grills and griddles. 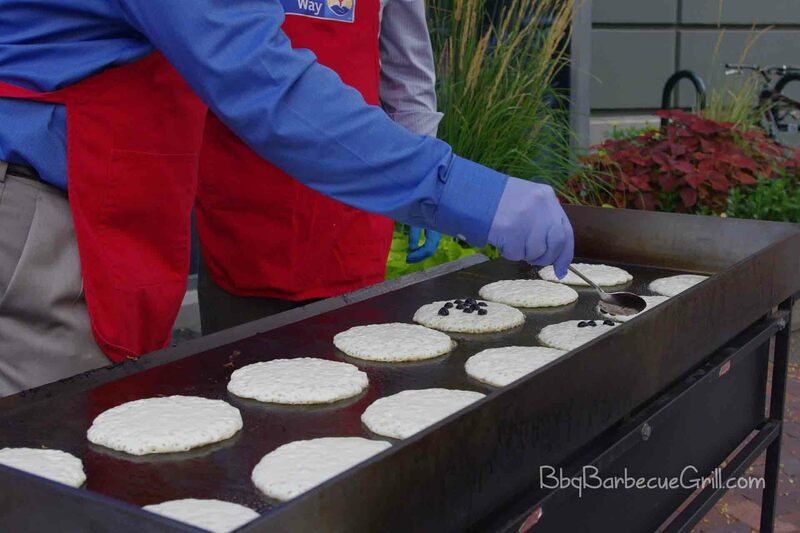 There are many outdoor griddles stores will recommend. If you’re looking for an outdoor griddle built in, there are many different good choices available. Get your shopping done before the summer has officially started. While you’re at it, try a few of these excellent rubs made that work particularly well when cooking on the grill or the griddle. Great and easy definition with practical examples. Really good site, thank you very much for your effort in writing this post. Indeed a good comparison. I personally love cooking on griddle as i feel cooking on hot plate is easier as compared to grill, although food that is cooked on grill has some different taste, so one can not go for one of these two cooking methods, it’s just one of these two is used much more frequently than the other one, like I use Griddle more often. Thanks for your comment! I personally think both the grill and griddle have their place. I like grilling in the outdoors, but love the idea of using a griddle for breakfast and other large meals. On the griddle, things usually cook more evenly and you spend less time trying to get perfection. On the grill, you’re often more involved and you may need to flip more often. Overall, an inexpensive griddle and a favorite outdoor grill are great to have, and if you love to cook, I would recommend keeping both in your budget.